This is a little experiment. 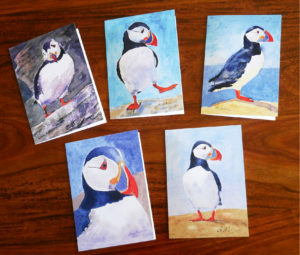 I’ve designed and produced a pack of 5 greetings cards (blank on the inside), based on my recent watercolour paintings of those adorable little puffins. They’re available on eBay as from today. If you like the look of them enough to buy a pack then you’d better be fast because I only have five packs available – told you it was an experiment! If there’s a demand for the cards, I’ll get more printed. Anyway, I’d be very interested to hear and read people’s thoughts and feedback on this first little set of puffin scallywags. 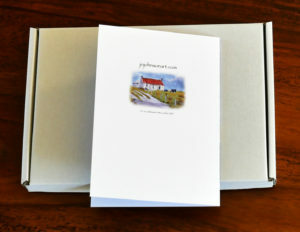 The cards are printed on very good quality card, are blank on the inside for your own message and come in a neat but strong little white cardboard box with 5 good quality envelopes. These are not cheap to produce but I hope that the originality and quality of these cards makes them stand out against the mass produced cards you can buy in the shops. Having said that, the cost per card isn’t any more than you would pay for an “Art Card” in a boutique gift shop. 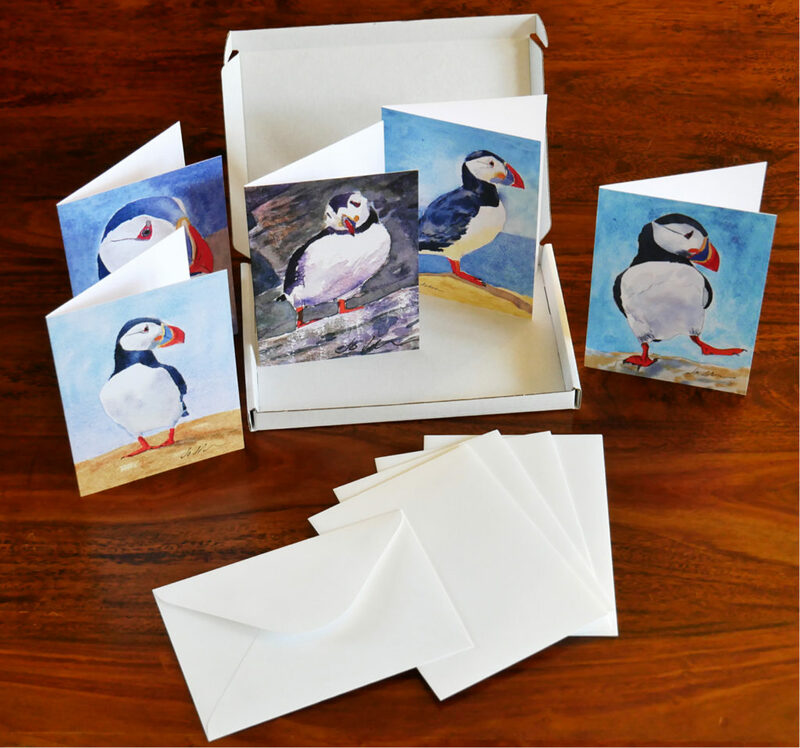 Only £1.99 per card and that includes the very reasonable 98p you pay for postage! Need I say more! 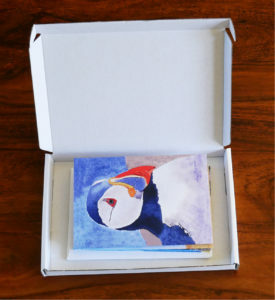 Snap up your Jo Johnson Art Cards Puffin Collection NOW!